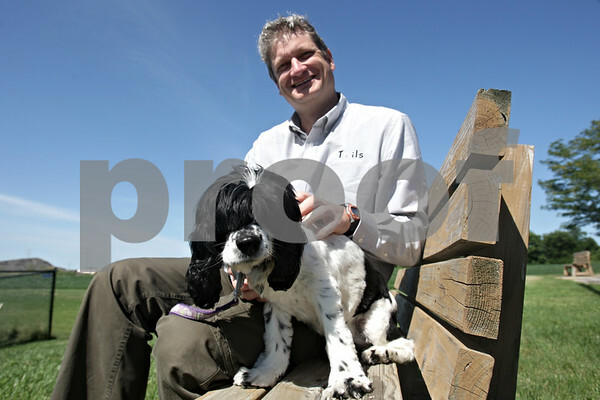 Tom Van Winkle, the new associate executive director of development and community outreach at the TAILS Humane Society in DeKalb, sits on a bench with his blind dog Violet on Tuesday, Aug. 13, 2013. Violet, an English Cocker Spaniel, was found abandoned on a trail in Thatcher Woods located in River Forest. Van Winkle adopted the dog over a year ago and brings Violet to work nearly everyday.